Collectively contractors have real influence on government thinking, whether this be shaping new legislation or in reforming existing or future legislation. As part of Acumen Accountants & Advisors continuing commitment to you and your best interests, this article seeks to explore the key issues. Taxation Magazine has recently noted that all indications point towards a change to the tax legislation in the private sector. The internet is awash with both speculation on the effect of any changes to the private sector and also comment on the actual effect to the public sector of the changes already imposed. There will always be work both within the UK and overseas that is either short, mid or long-term that is project by nature, as opposed to ongoing continuous operations. Ultimately, despite Brexit and possible short term needs to increase treasury income, the government recognise that they are dependent on large scale international corporations, both having a base within the UK and creating employment opportunities and it is the government's responsibility for creating a dynamic legislative and taxation environment, to create favourable conditions to encourage large scale enterprise and investment within the UK, especially within the energy sector. Despite HMRC appearing to be in denial, the public sector is struggling to hire contractors: Projects are being delayed and even cancelled as a result, as they struggle to cope under the resulting skills and resourcing shortages. It has been noted that the private sector will always seek to retain a dynamic profitable edge, which indeed is good for both the economy and current high employment figures within the UK, which are currently the envy of most countries worldwide and this will most definitely include retaining flexibility and adaptability, that contractors contribute to. There is a strong will from the private and indeed public sector and the contractor industry, for the current flexible situation to continue, within which contractors, with their key skills and experience, play a vital role. The private sector will have a strong voice if it is in opposition to any future governmental legislative changes and as leading economists and political observers have noted, is more magnified by Brexit economic uncertainty. It is also predicted that the large private sector will not react as passively as the public sector if it perceives a loss of dynamic business edge, danger to successful project completion and threat to its access to the pool of top level skills base within the contractor industry for project work. It is noted that if the responsibility to determine IR35 status falls upon the ultimate contracting employer in the future, there is a current legislative imbalance, as highlighted by the Computer Weekly “There is only liability if you say it doesn't apply, and someone comes along and proves it should have done. Then the liability goes back to the client who made the decision, so there is an in-built incentive in these rules to apply IR35 when perhaps it shouldn't do.” The effect of which is to create concerns that tax liability risk will be high on the agenda of firms, and imposing blanket IR35 decisions, to the detriment of contractors may appear an easy option. On the point of public sector compliance, Andy Chamberlain, deputy director of policy at The Association of Independent Professionals and the Self-Employed (IPSE), made the point to Computer Weekly that things may not be all that they seem on that front: “We strongly believe there is over-compliance going on because there is no liability for saying IR35 does apply, if it turns out it shouldn’t do later down the line,” he said. We must also highlight our gratitude to the excellent work that both Contractor Weekly and Taxation magazine by Tolley are doing that represent both contractors and the government in a balanced way, by holding HMRC to account within legislation, noting concerns and pointing out both imbalanced or poor interpretation of legislation and by expressing concerns clearly, when they believe that current or anticipated legislation will likely have a long term damaging effect on the UK economy. In conclusion, our contractors need to work closely with us at Acumen and ensure to remain diligent in your working practices, to ensure you continue to remain legitimately working outside of IR35 thereby retaining your independent contractor status and comply with all your statutory reporting requirements: Accounts, VAT, Payroll, P11D and Personal Tax. It can-not be overstated that you as a contractor represent the highest level talent, skills and experience resource that indeed both the public and private sector wishes to draw upon. 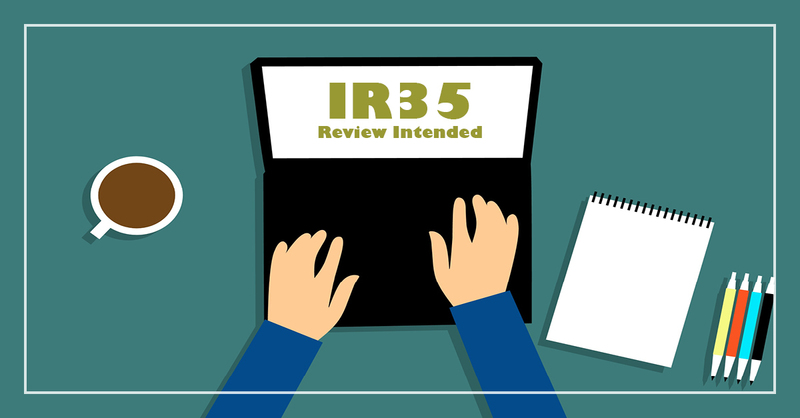 At Acumen we are committed to you personally, through working with and advising you, throughout the constant of legislative change and uncertainty, if you are unsure by what IR35 means to you, please do not hesitate to contact our tax team for advice and guidance.